You can now build your team of LabCollector users in the Client Area. If you want to know more about the Client Area account please read more here. All the members of LabCollector in your lab will have access to your LabCollector Client Area. The first benefit of that is to increase awareness of LabCollector, having all users onboard increases the commitment to an organized lab. Users will be able to manage the license if needed, download add-ons etc. In this way there’s no need for one supervisor to do all the work or to give their confidential account credentials to anyone else. Also, if any of your team members contacts us for support we will know that they are connected to your account and so we can help them more efficiently. Many more services and features will be regularly added to the Client Area account to better serve all your lab members. We’re delighted to announce the release of LabCollector version 5.4! 1. Multiple group membership. Please read it on the Knowledge Base. You can now create a user and assign them to multiple groups and to a primary group to fit the need of your laboratory/industry life. When the user is associated to a primary group this is the group that their records will be shared with by default and they can then choose the other group(s) that will have access to their records. Block the account of a user quickly and easily. Please read it on our KB. With the option “SHA + strong rules”, the user will have to change the default password given by the super-administrator and follow strict rules to create a new one. Please read it on our KB. (session auto lock, data encryption, electronic signatures, record edition block, reason to edit). Please read it on our KB. Read-only or blocked record. Data are frozen: no modification is possible except for storage. Result is stored in versioning. Electronic signature on blocked records to guarantee the integrity of the data. Result is stored in versioning. For each modification, the user must give a reason to edit. This reason will be visible in the versioning. 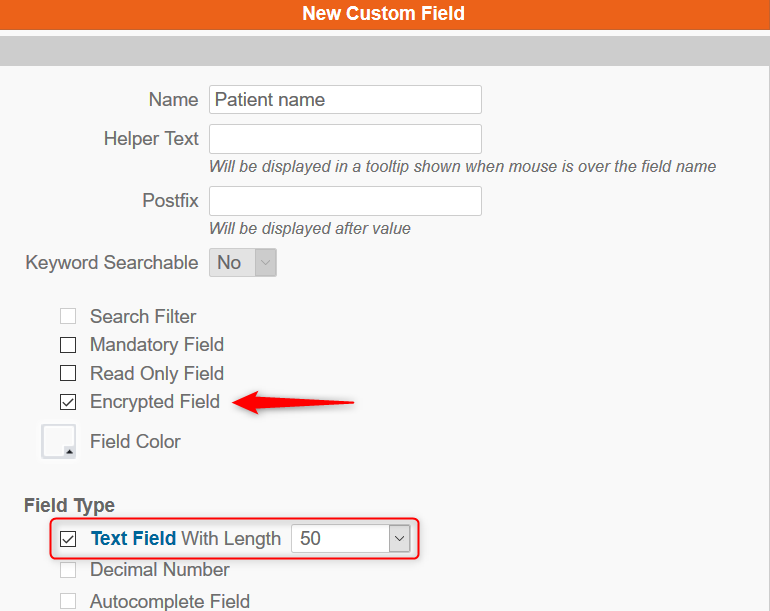 Data in a custom field type text can be encrypted in the database. Encrypted data in the database which is only visible in the UI. 5. Fully detailed audit trails with data integrity check (by checksum). 6. Added optional ownership on R&S module. 7. Links to LSM, ELN, Workflow displayed in record. 8. Maintenance in batch using memorized items tool. Please read it on our KB. 10. API improvements. Please read it on our KB. 11. Many more improvements and bug fixes: check the full change log for more details. Rack scanner installation and connection with ScanServer. What can I do with the default fields? How do you use versioning? What are group policies and how to use them? Manage your lab equipment and follow their maintenance. In addition to this LabCollector version, we’ve released a new companion Android App: TubeScan App. Data and user segregation is an important factor for many labs to support privacy between projects, organize users in departments, branches or remote partner teams. Version 5.4 of LabCollector now comes with improved and advanced extra options for sharing data between groups, users or projects. Here we provide a quick guide as to how the new features work. User ownership – when creating a record the Main Operator field is set to your name by default but you can select another person instead. If there are multiple groups in your LabCollector and you belong to only one group, then the records where you are the Main Operator are automatically shared with your group. The case where you are in more than one group is discussed later on. Share with specific users – you have the option of selecting secondary owners for your record by clicking on the green icon beside the Main Operator field as shown in the image below. The module you are using must have the Multiple Owners setting activated with your user permission level in order for this option to appear (go to Admin > Default Fields). LabCollector can be used as a single entity or with groups of users. The above diagram illustrates some of the possibilities. Work in a group – Users can be organized into single groups. In that scenario, it is then possible to have extra data filtering in modules and in the ELN. Such groups have multiple options to add specific restrictions such as access to storage, ordering, IP access restrictions, etc. Data access can also be totally isolated between groups or not. Records can still be created which are not associated with any group. In that case, they are visible to everyone except if a group is explicitly excluded. Work in multiple groups – LabCollector also supports the inclusion of users into multiple groups as illustrated. Many combinations can be defined. Share with groups: By default, all assigned groups will be equivalent. Data created by the user will be visible to all groups, but a sharing option is available to restrict data access at the record level. Have a primary group: When a primary group is defined data saved by the user will only be visible to the primary group by default. 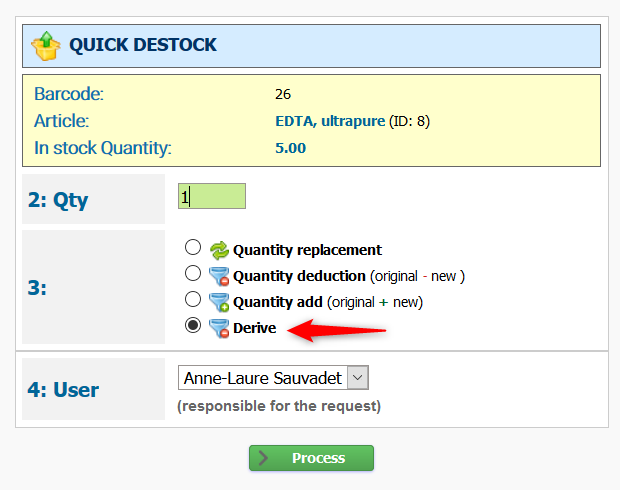 The user can then decide to extend record access to other groups by checking the option in the Share Options drop-down. Work outside of groups – When users are not associated with any group, they are Full Access members. They can see all data and choose to share records with everyone or with particular groups. 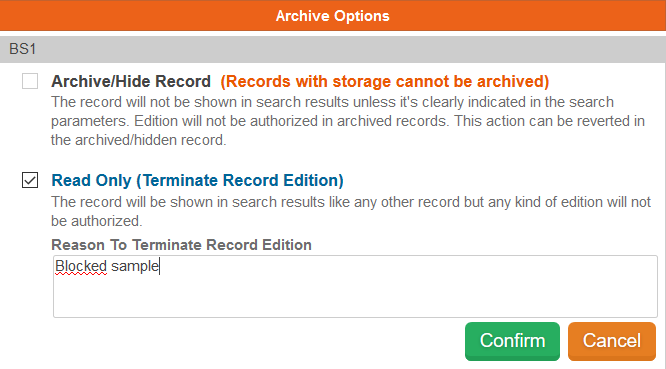 Users inside groups can be given permission to access these general records. Restrict by project – There is also a useful option to apply a project by group policy. Administrators and Staff+ users can create project codes. These codes can be general or assigned to groups. When a project is assigned to groups, only the members of these groups will be allowed to access project data. The project code logic overlaps and supersedes the group logic so even if groups normally share data the project will add its own restriction logic..
Also, remember to check your RSS news feed on your LabCollector Home Page – we’ll be posting other tips to help you get the most out of your LIMS. If you would like to see an article on a particular subject, don’t hesitate to ask for it via our social network pages or contact@agilebio.com! The LabCollector ELN is more than a text editor. It’s a tool designed to revolutionize the way you report your findings. For those of you who have used the LabCollector ELN you may already know most of its features but perhaps you haven’t tried using the ELN Template feature. Templates can really help to speed up your reporting and ensure consistency in your procedure-based experimentation. Check out this Knowledge Base article for a step-by-step guide to making your first template.